Miller Permanent Roof Anchorages designed for residential and commercial construction. 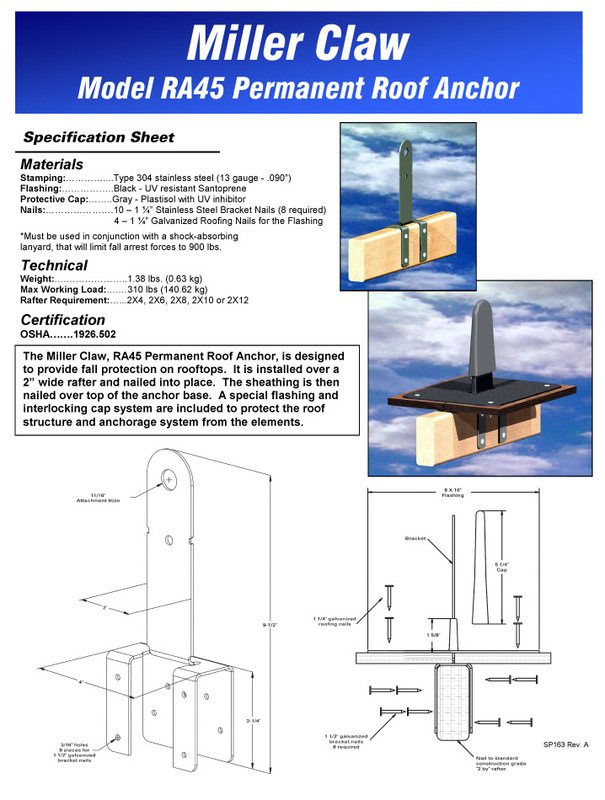 The Claw permanent roof anchor is designed to provide a single anchorage point when securely installed on a wood rafter or truss member. The Claw anchor fits wood sizes 2-in. x 4-in., 2-in. x 6-in., 2-in. x 8-in., 2-in. x 10-in. or 2-in. x 12-in.